Oh, that gorgeous Steve Grand is just too good to us. If his new single, Look Away (his duet with Eli Lieb) wasn’t enough to whip us into a frenzy, his sultry cover of Zayn Malik’s sexiest PillowTalk has pushed us over the edge! And dare we say that the all American boy packs a lot more emotion and oomph into the smoochy wee ditty than the lean former One Direction. In fact he sings with it with such ease and panache and made it his own, that we almost forgot that it was a cover. And the great news is, Steve says it will be available to download too, which is amazing news. The only thing that let us down is that old Stevey boy did it with a T-shirt on. 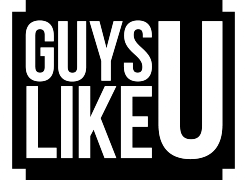 So come on Steve, just for us at GuysLikeU, do us a wee tune sans T-shirt! How about a cover of Unintended by Muse. Without a shirt. Swooooooon! Previous ArticleThe Kings Cross Steelers celebrate their 20th anniversary! Next ArticleStrictly's Thom celebrates his birthday with his lookalike bro! Wow, Liam Payne! That definitely took us by surprise! YIKES! Steve Grand, did you really mean to post that picture? Eek! You’ll never believe what Steve Grand looked like when he was 18!